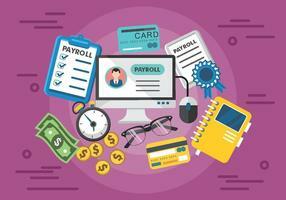 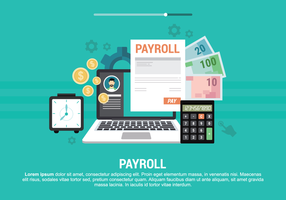 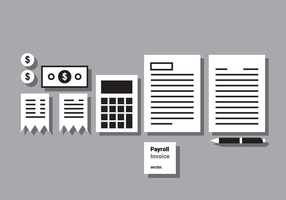 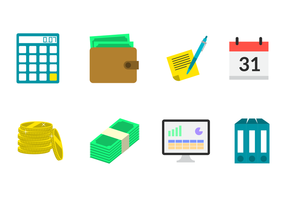 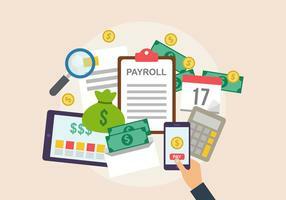 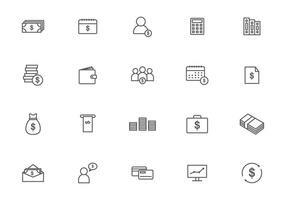 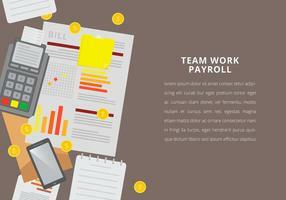 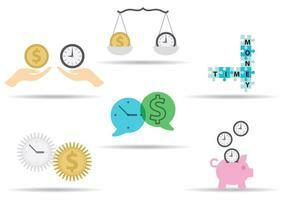 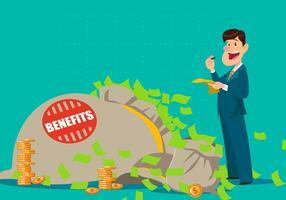 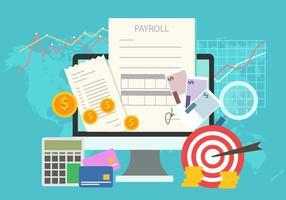 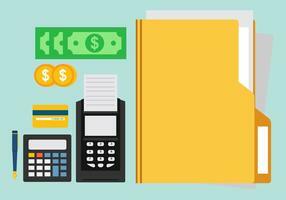 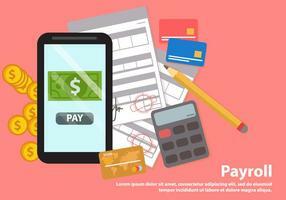 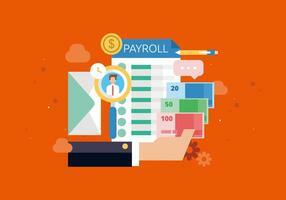 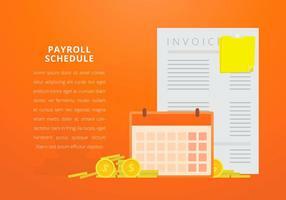 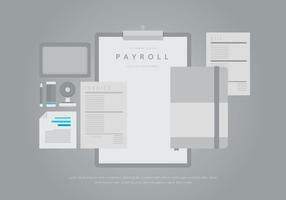 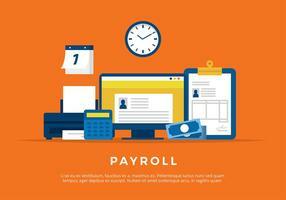 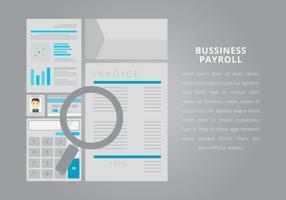 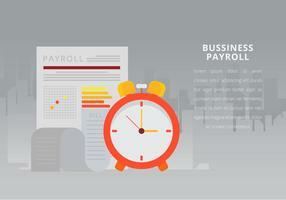 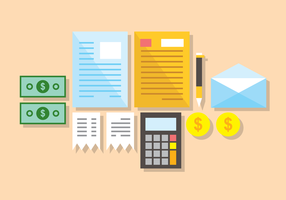 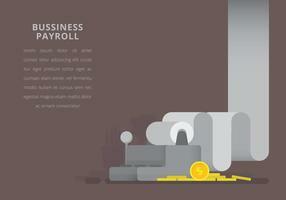 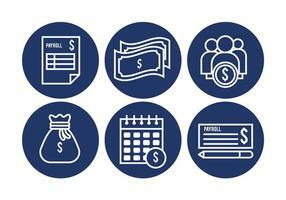 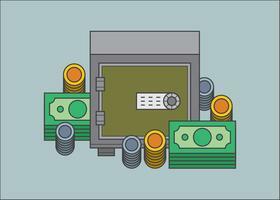 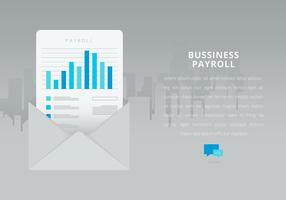 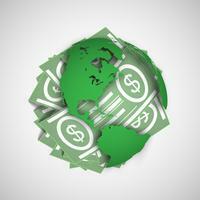 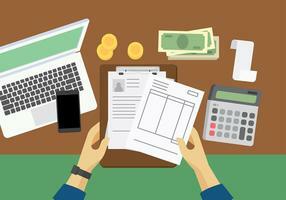 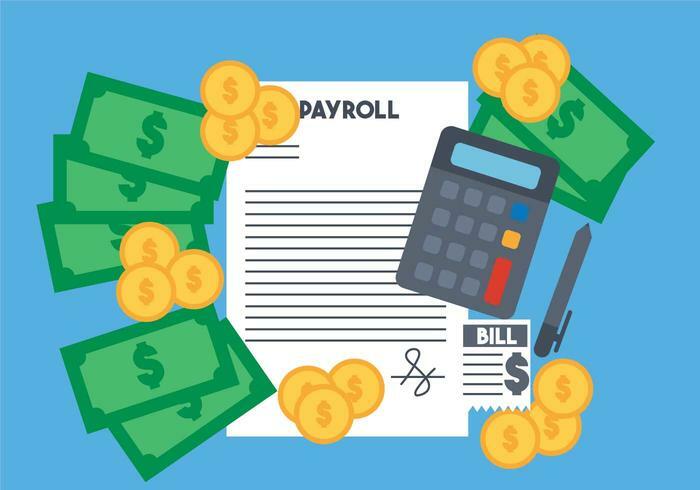 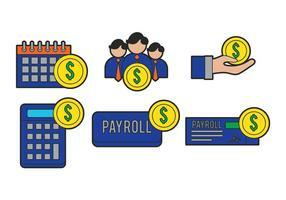 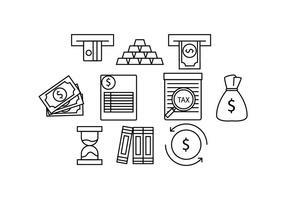 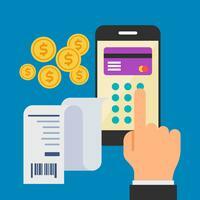 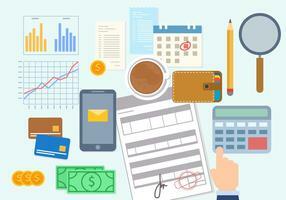 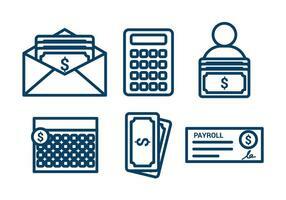 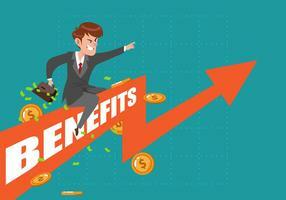 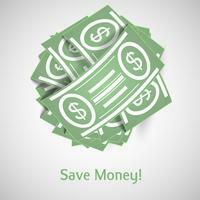 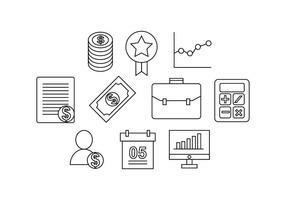 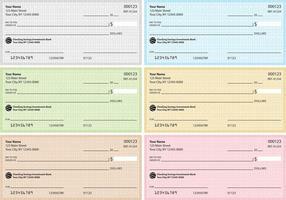 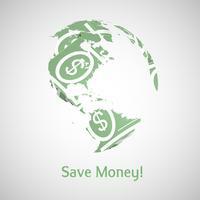 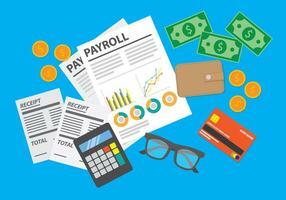 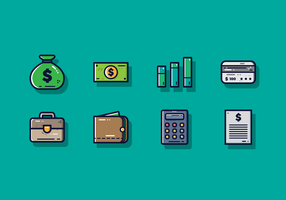 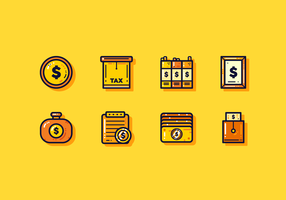 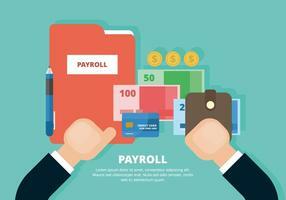 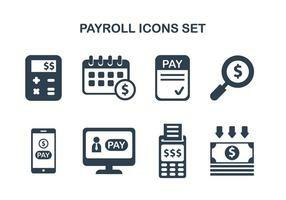 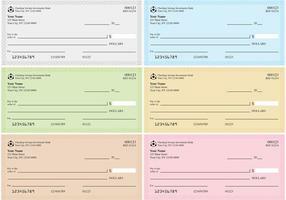 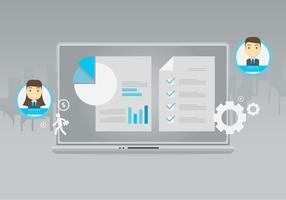 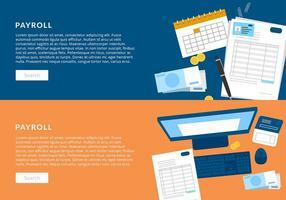 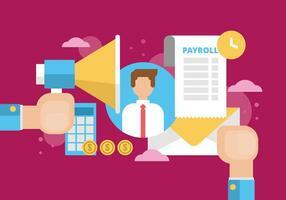 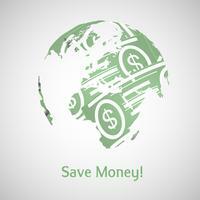 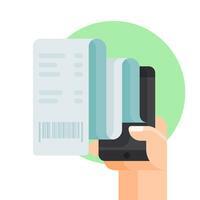 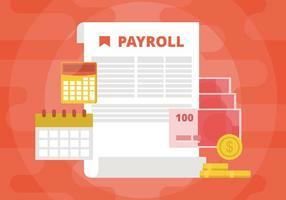 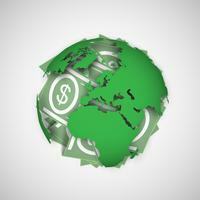 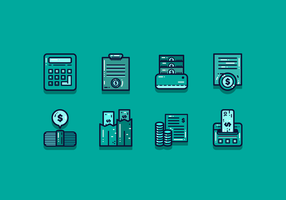 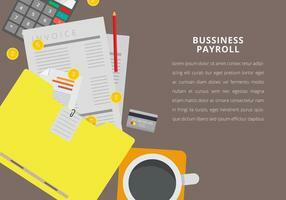 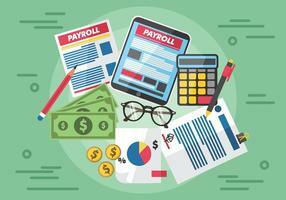 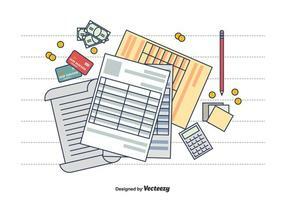 Included in this set are 6 payroll icons with composition. 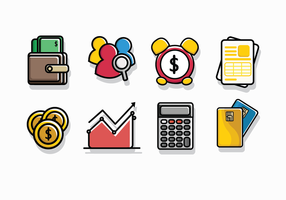 Ready for download. 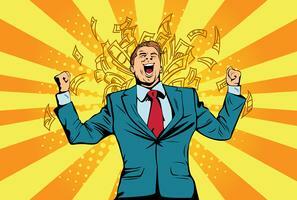 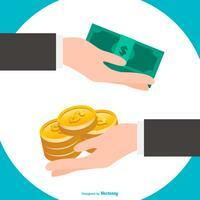 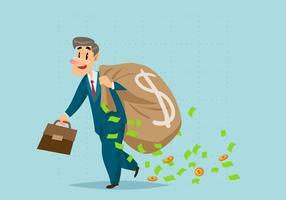 A man is struggling to pull a big bag of money because it is too heavy.